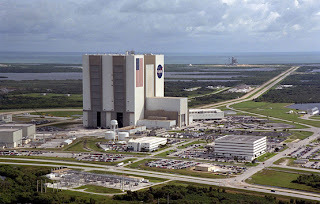 On our upcoming trip to Florida we will be visiting the final frontier-space-or at least venturing as close as we can get to it, at the Kennedy Space Center Visitor Complex.This is another thing that has been on my bucket list and I've always said if I got a chance to get down to Florida again, this would have to be a stop I would make. 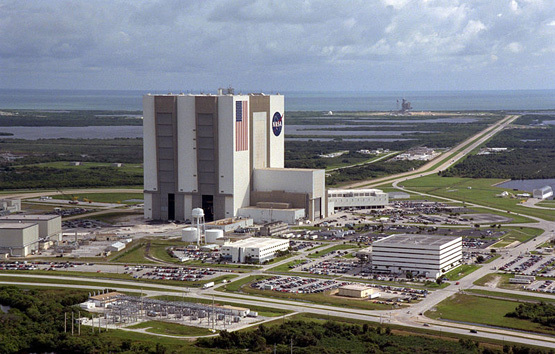 The Visitor Complex is part of NASA’s Kennedy Space Center. It features a wide variety of exhibits and displays concerning space and space travel, two IMAX movie theatres, and bus tours of the spaceport. This year, Kennedy Space Center Visitor Complex will be celebrating two milestones in space history with the 50th anniversaries of NASA's John F. Kennedy Space Center and Americans in Orbit. 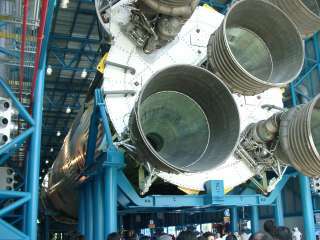 Additionally, the complex offers Shuttle Launch Experience, which puts the guests through a simulated space launch. The center also features an astronaut hall of fame, a rocket garden featuring missiles, sounding rockets and space launchers on full display as you venture down the garden path. At the Apollo/Saturn V Center visitors can look and touch an authentic moon rock. Guests may have a chance to meet famous astronauts and ask them a question, all in the price of admission. This is a great experience that we are looking forward to and you can go as well. Be sure to check out flights to Orlando Florida, and make the Kennedy Space Center Visitor Complex, a place for you to take your family.